Watch: Mini Mansions preview 'Flashbacks'. Mini Mansions have shared a preview of their upcoming 'Flashbacks: A Collection Of B-Sides From The Great Pretenders' independent release, which is currently available as a pre-order via the band’s Pledge Music page. "Still a little ways away from putting these tracks under your tree. Until then, here is a preview of what’s to come…..
Go to our Pledge page to Pre-Order! MusicMust-listen: Mini Mansions’ new song 'Any Emotions' feat. Brian Wilson (+ B-side 'Geronimo'). 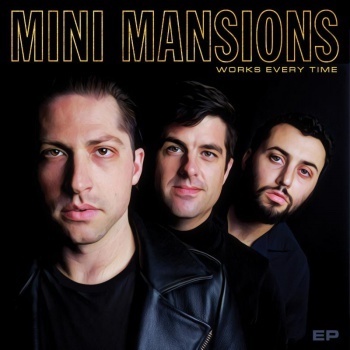 MusicReview: Mini Mansions - Cassette Nine Auckland, November 2015.